The blast was said to have occurred close to Interior Minister Ibrahim’s home in the Nasr City district a few minutes after Ibrahim and his security convoy left the residence. The bomb resulted in more than 20 people being injured. Following the blast, no one was certain what kind of bomb it was with some agencies saying it was a suicide car bomb and other stating it was thrown. During his TV appearance, Interior Minister Ibrahim said that he believed the explosive was remote controlled. Sometime later, security officials said that the attempt was carried out by a suicide car bomber. Remains of the potential bomber were found near the blast site. According to the ministry, 10 police officers and 11 civilians were wounded. There were no casualties. Meanwhile the Muslim Brotherhood condemned the attempt on Ibrahim. 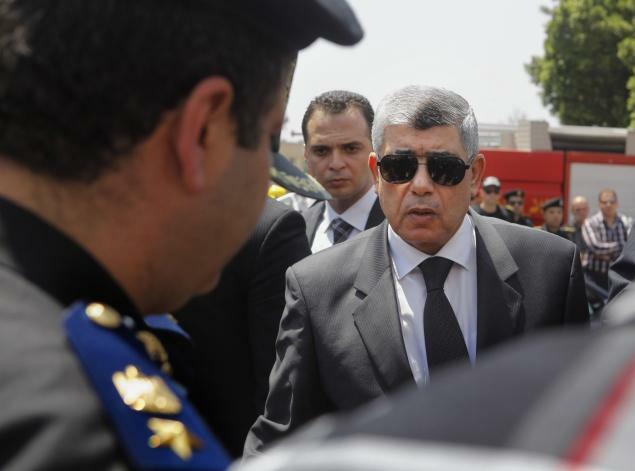 The Interior Minister has been in charge of a security force at the center of violent clashes last month during Islamist protests since the arrests of several Muslim Brotherhood members including ousted former president, Mohammed Morsi. The protesters called for Morsi’s reinstatement, but protests went nowhere and violence ensued primarily in Nasr City, but also in other areas. One of the significant moments in this fallout was the August 14 dismantling of protest camps near the Rabba al-Adawiya mosque which resulted in the deaths of hundreds of pro-Morsi protesters. With the violence came a state of emergency for Egypt and curfews in an attempt to reestablish order. In an attempt to ease the flames, the interim government reached out to Islamists to assist in drafting a new constitution for Egypt, but was denied. This week saw a mostly secular group given the task instead. Escalating matters on the ground is that several Brotherhood members are being held by police forces with Mohammed Morsi still being held in a private location. This led to family members calling the holding of Morsi a kidnapping and threatening legal action for his return. The charges against Morsi were read in late July and had to do with espionage and conspiring with Hamas during his escape from Wadi Natroun in 2011. The escape also saw 30 other members of the Muslim Brotherhood freed and several police officers killed. Currently no organization has claimed responsibility for the assassination attempt on Interior Minister Ibrahim.